WA Molan & Sons offer a complete equipment hire service. With a fleet of powerful, state-of-the-art earthmoving and excavating equipment, we’re sure to have what you need for any project. Our equipment is ideal for farm work and all domestic, commercial and industrial jobs. Our mobile crushing plants can do crushing and screening of material ready for sale, and various sizes of material as well. 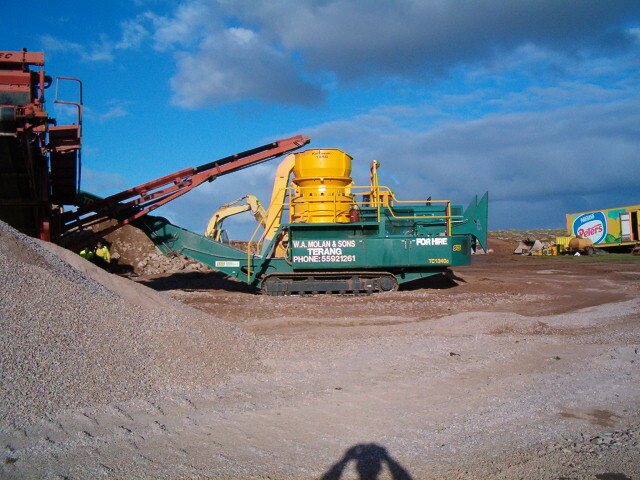 To find out more about our quarrying equipment, see our Quarries page. So don’t delay – call us today to talk about your requirements and secure the equipment you need!